Answering to the Operations Manager, the Senior Vision Loss Advisor will be responsible for managing a team of Vision Loss Advisors, Volunteer Coordinator and a Support Worker. The postholder will also be required to work closely with the Employment Engagement Coordinator for East Wales. The role requires someone who is experienced at giving advice, support or mentoring and has previously worked or volunteered with people who are Blind or have sight loss. Relevant experience of working in recruitment / employment field and proven track record in successfully securing jobs for clients and meeting quantitative targets in a focused environment. Drive and determination to work to challenging targets and achieve in a fast-moving customer focused environment. Excellent interpersonal, communication skills, presentation skills and ability to represent the agency. To conform to a high standard of professional conduct at all times. Understanding of employment law, health & safety, GDPR, the Equality Act and other recruitment related legislation. Ability to work flexibly, on own initiative and as part of a team. Ability to priortise and co-ordinate your own workload and that of others to include identifying problems and opportunities and work in a proactive manner. Good organisational and administration skills, time management, computer literate with a willingness and aptitude to learn. Experience and / or knowledge of various industrial/ commercial environments and knowledge of local and national labour market. Understanding of employment issues faced by customers with various needs and experience of working with disabled/ disadvantaged people in employment focused programmes., including Vision impairment and sight loss. An understanding of the Welfare Benefits system. Experience in supporting a manager and leading colleagues to maintain a high-quality provision that meets the needs of a specified contract/s. Business initiative - An understanding of the markets COS operates in and ability identify and capitalise on opportunities. Planning and Organising - Ability to plan, lead and manage proposals that win new business, in line with business processes. Problem solving and time management - Ability to identify and successfully plan dependencies in complex projects, prioritising critical tasks and allocating time and resources to the crucial areas that will underpin project success. Concern for accuracy - Acting to minimise errors and inaccuracies, maintaining high standards of accuracy and correctness in dealing with information and data. Adopting an orderly and precise approach to work paying careful attention to following standard procedures and ways of working. Team Working - Build and maintain good working relationships with colleagues within COS to cultivate a positive team spirit, commitment to the team and achievement of shared goals. Contribute to leading the provision of high quality, cost effective services to people with disabilities/disadvantage specifically with a focus on those with sight loss. To work closely with the North East Wales Employment Engagement Coordinator. 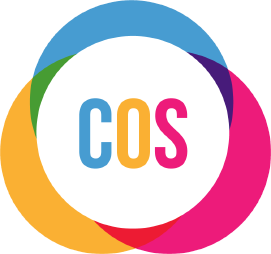 To lead a small team of Vision Loss Advisors, a Support Worker and a Volunteer Coordinator for people who are blind or partially sighted to deliver supported Employment services (this element of your role will account for 80% of your time) to meet COS contractual obligations within the JobSense Project. Effectively coordinating staffing activities and resources to deliver the JobSense objectives. Implement policies, procedures and strategies appropriately. Recognise and work within the organisations quality system and standards, that encompass those of our funders. To ensure participant confidentiality is adhered to at all times and to work in line with the principles of the GDPR. Must be willing to undertake journeys throughout Wales for work purposes, including occasional overnight stays and travel where necessary.